Some time ago on my way back from a trip to Visakhapatnam, a fortuitous event occurred: we were comfortably in time for the train back to Hyderabad and I had the luxury of going to a bookstall at the railway station and browse through the collection. Now, browsing books at a railway station is a very different experience from browsing books, say, at an Oxford Bookstore or a Landmark… the ambience at a station has its own charm which is impossible to replicate. There’s a sense of urgency in choosing a book that would be a befitting accompaniment to the relaxed ride home, along with an old-world charm which carries with it a sense of nostalgia from childhood days. My first comment on Vinoba’s Thoughts would be on their contemporary relevance. The book is a compilation of lectures delivered by the thinker largely between 1949 and 1957; however none of the issues seems dated. This can mean two things: first, that the common cliché holds true – India has not achieved much in the years post-independence and the problems that plagued the country then, and occupied social thinkers and activists then, are still relevant and unresolved; and/or two, that the questions that Vinoba raises are philosophical in nature, and subsequently do not have answers (read easy, practicable solutions), or that the solutions he suggests are of such an ideal/idyllic nature that one cannot find too many instances of those in life. Either of the two possibilities is true, but neither would deter one from realizing the intrinsic value of his thoughts. I would thus attempt to present a small overview of some of his notions and the relevance they hold for life in a globalized, fast-changing India. There are several ideas that this small book throws up, I would however be discussing one of the most pertinent ones here. 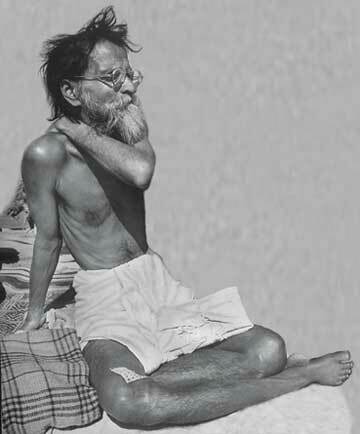 Vinoba talks about the great divide in a human being’s life in the present day, which is the product of the educational system – (for those who are ‘lucky’ enough to get a formal education!) – That between life at/during one’s educational career, and post it. The artificial system of marks is a reality that one confronts only while at school and never again. Unless one translates ‘marks’ into ‘remuneration figures’ later in life, which again is problematic, since various studies and commonsense have shown that it is not necessary for the aboveaverage student to inevitably do well for herself in life and that it is often the under-achievers rather than the over-achievers who ‘do well for themselves’ (speaking in a conventional sense) in their careers. He goes on to talk about young men harboring great ambitions and dreams – of wanting to become ‘a poet like Valmiki’ or ‘a scientist like Newton’, only to later in life ‘stoop to problems of housekeeping, of getting his daily bread.’ Now, what Vinoba is saying may be regarded by many as commonplace. This dichotomy is the reality of the vast majority – the binary of ‘getting an education’ and ‘living’ are hard to reconcile. And the term given to this reconciliation is ‘maturity’! So when someone gives up on what ‘sensible’ folk would regard ‘fanciful’ he is applauded and said to have gained in ‘maturity’! But the causes which foster this divide have not been addressed and that too for years. Instead, the education systems in India and elsewhere have become even more entrenched. Parents who themselves perhaps had to struggle in their lives to reach a certain economic standing believe that they should not let any shadow of trouble fall upon their children (a common theme seen in Hindi movies as well). To this sentiment, Vinoba says, “We think of it (life) in terms of conflict and struggle. But if this were true, if life were a terrible, weary struggle, we should neither introduce children to it nor continue to live it ourselves…” Historically contextualizing Vinoba would help us see that he was pointing towards the Nai Taleem – an educational scheme that Gandhi had come up with, which was loosely based on Tagore’s notions of education and the place of vocational training in education. 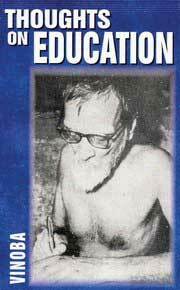 The Nai Taleem was never successfully implemented and perhaps in a way for the better, however that does not take away from the arguments put forth by Vinoba in the favour of the significance of vocational training in education today. The author is a Lead-Trainer with the Naandi Foundation, Mumbai and a student of Education (Elementary) at TISS, Mumbai. She can be reached at simranluthra@gmail.com.